The windows installations on your commercial or residential property add to the aesthetics of the structure, protect the indoor areas from the elements, provide insulation from the outdoor environment and let in natural light. If you are building a new home, it’s important to make sure that you choose high-quality, energy-efficient windows. We at Productive Quality Construction are a property maintenance and full-service construction company situated in Atlanta, GA.
Over the years, we have built a very solid customer base here and cater to clients in and around the entire metro Atlanta area. 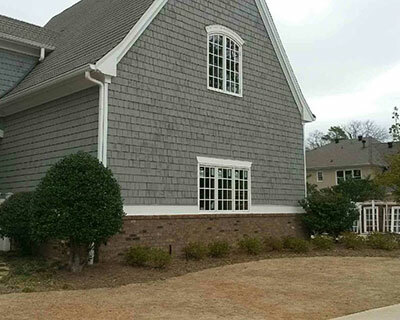 We also serve customers in Gresham Park, Druid Hills, Decatur and North Decatur; and have successfully completed projects across North Druid Hills and East Point, as well as Belvedere Park. Our company has also handled a significant number of projects in Panthersville, College Park, North Atlanta, and the surrounding areas. In most instances, window installation is part and parcel of the overall home construction project and we design and install the best quality energy-efficient windows for our clients. But we can also handle all types of window replacement and repair jobs. If you live in an older house that has timber windows or if you’re existing glass windows aren’t energy-efficient and have deteriorated, we can install modern double or triple-paned windows on your property. These panes have argon gas filled in them which enhances their insulating properties. Today, most commercial buildings such as office structures or retail outlets and stores etc., sport large glass windows; as mentioned earlier, these bring in more natural light and air into the indoor spaces. In addition, they make the spaces look more open and spacious too. If you are planning on getting new glass windows installed, we can provide you with the best solutions at the best pricing. We have been operating in this space for a number of years and have extensive knowledge about the different types of windows available on the market. We can provide you all the information you need about these different options and what their pros and cons are. This helps you make a more well-informed decision about what product you would like to opt for. We always adopt a customized approach to all our jobs and provide personalized attention to our clients. We have skilled and highly experienced window installers that handle the job meticulously, and you can rest assured that the windows we provide will be resilient and durable and add to the value of your property. If you are looking for high-quality, customized window installation services, Productive Quality Construction is the company to call. Feel free to call us on 770-217-7560 and discuss your project details with one of our experts. We provide end-to-end solutions at very cost-effective window installation cost.